Bissel Gardens is a 2.5-acre community garden and four-block public path in the Wakefield section of the Bronx bringing people together, beautifying the neighborhood, creating safe outdoor space, offering community gardening and growing food for donation. 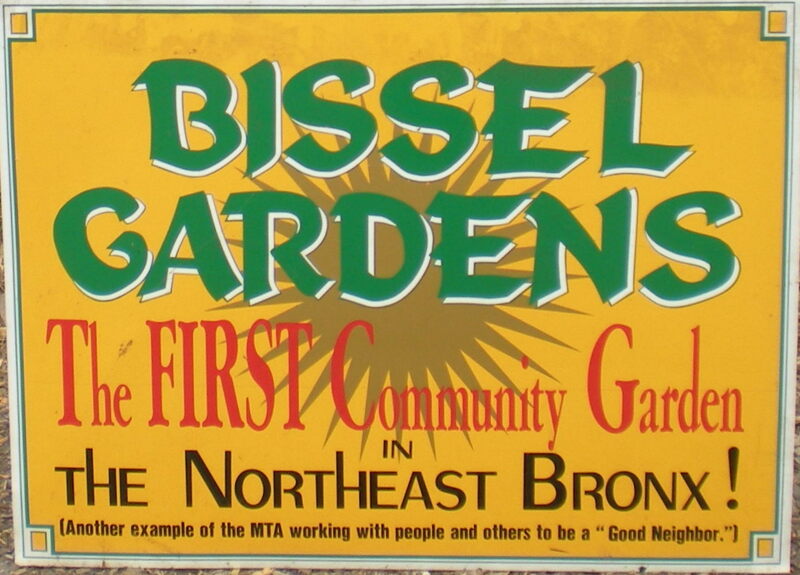 Bissel Gardens was the first community garden in the northeast Bronx and we are proud to have served the community for almost 25 years. 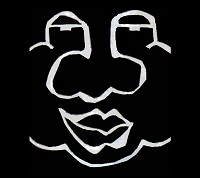 The founders, Theresa Scalera and Russell Le Count, “rescued” the property, managed by the MTA, after the area along the train yard had become a dumping ground and a community eyesore. By planting the property with tree, shrubs, flowers and vegetables the area became an oasis of community gardeners, playing children and summer strollers. The Bissel Gardens Propagation Area grows native plants that attract butterflies and pollinators and helps gardeners establish their own Butterfly gardens. Last year, Bissel Gardens launched the Veterans Garden in the Propagation Area and local veterans are encouraged to become gardeners. We also manage an educational vegetable garden growing herbs and various vegetables in families to educate community gardeners and children. Steve Ritz, Bronx Green Machine, manages the Food For Others area and he, his wife, daughter and student volunteers are always hard at work growing food for the less fortunate. The produce harvested from the FFO is donated to soup kitchens and shelters. The Bissel Garden Children’s Garden, honoring founder, Marie Teresa Scalera, is devoted to young gardeners and offers environmental and educational programs. The Market at Bissel Gardens operates from July 1 through mid-November giving neighborhood residents an opportunity to buy fresh fruit and vegetables from New York State farmers. Bissel offers cooking demonstrations and accepts Health Bucks and EBT cards helping local residents meet their fresh food needs within their budgets.